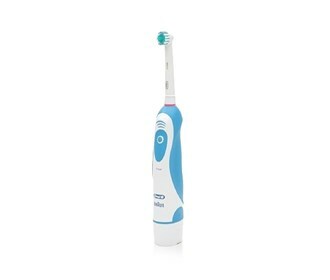 The Oral-B Pro-Health Precision Clean is a battery-powered toothbrush that uses a rotating powerhead with crisscross bristles for more cleaning action in every stroke. It's improved technology delivers more cleaning action than any manual toothbrush reducing gingivitis to a great extent. This toothbrush has a soft, rubberized ergonomic handle for comfortable brushing. The Pro-Health Precision Clean toothbrush features Prosoft bristles that gently cleans teeth and stimulates gums. It also features soft Micropulse bristles that vibrate between teeth, breaking up plaque. The Oral-B Pro-Health Precision Clean has many exciting features for users of all types. You can extend the lifetime of your Oral-B Pro-Health Precision Clean with the purchase of a FactoryOutletStore Factory Protection Plan. 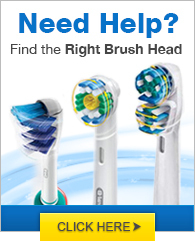 See the Oral-B Pro-Health Precision Clean product video and gallery images above for more details. FactoryOutletStore stocks a full line of accessories like BreathRx Antibacterial Mouth Rinse, BreathRx TongueScraper, and BreathRx Whitening Toothpaste for the Oral-B Pro-Health Precision Clean. The Oral-B Pro-Health Precision Clean is sold as a Brand New Unopened Item. I got this brush last Christmas and have been using it for about a year. I didn't want to worry abut recharging the batteries. Uses 2 AA that last a long time without replacing. Love the brush and the way it cleans. I have been using my new Oral-B Pro-Health Precision Clean, a battery-powered toothbrush for about a month now. And I would like to say that it is an outstanding tooth brush, leaving my teeth and gums much stronger than before. My gums had developed pain after brushing, thus I replaced my old tooth brush with Oral-B Pro-Health Precision Clean. From the time I am using this, I experience less pain in my gums.